Farkas' first horn teacher was Earl Stricker. In 1930, Farkas became a student at Calumet High School and played in the band and orchestra there, as well as in the All-Chicago High School Orchestra. He began studying privately with Louis Dufrasne, a great horn artist of the time, and playing with the Chicago Civic Orchestra. 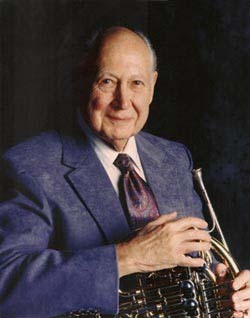 During this time, Farkas taught horn privately and at the Kansas City Conservatory, Cleveland Institute, DePaul University, Roosevelt University, Northwestern University, and finally, after leaving the Chicago Symphony in 1960, at Indiana University. After so many years of orchestral playing, he said, "I would rather quit several years too soon than 10 minutes too late." During his time at Indiana, Farkas played and toured with the American Woodwind Quintet and during the summers played in the Aspen Festival Orchestra. Farkas had a significant reputation as a teacher when he moved to Indiana University. A few years before, he had published The Art of French Horn Playing, which became known as the Bible for horn players and is a fixture in almost every horn player's library. His next major publication, The Art of Brass Playing, Farkas published himself and established Wind Music, Inc. to distribute it. Farkas believed that to be successful, horn players needed technique, musicianship, and the courage to play in public. He advocated knowing their weaknesses and working to make them strengths; i.e., "Take the problem and practice it to the extreme." In addition to the many orchestral recordings in which Farkas can be heard, he made a few solo and chamber recordings and can be heard in advertising jingles and in Nat King Cole's Portrait of Jenny. Among Farkas' other accomplishments was designing the Farkas Model horn and mouthpiece. He experimented his entire life with horn and mouthpiece design. 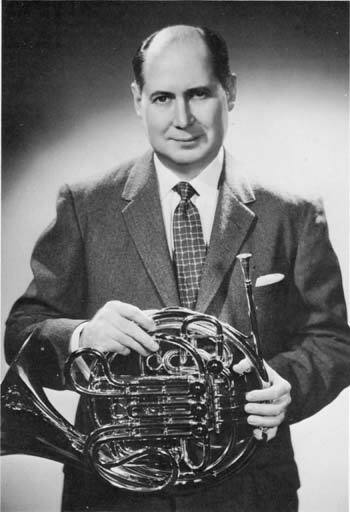 In 1947 he and trumpeter Renold Schilke founded a business called Music Products, Inc. to produce and market mouthpieces. After beginning his collaboration with Holton and moving to Indiana University, he sold his share of the business to Schilke, and then helped design a collection of mouthpieces for Holton. Stewart, M. Dee, Philip Farkas: The Legacy of a Master, The Instrumentalist, Northfield IL, ©1990. Fako, Nancy Jordan, Philip Farkas and His Horn: A Happy, Worthwhile Life, Crescent Park Music Publications, Elmhurst IL, ©1998. The Art of French Horn Playing: A Treatise on the Problems and Techniques of French Horn Playing. C. F. Summy, Chicago, ©1956. The Art of Brass Playing: A Treatise on the Formation and Use of the Brass Player's Embouchure. Wind Music, Bloomington IN, ©1962. A Photographic Study of 40 Virtuoso Horn Players' Embouchures. Wind Music, Bloomington IN, ©1970. The Art of Musicianship: A Treatise on the Skills, Knowledge, and Sensitivity Needed by the Mature Musician to Perform in an Artistic and Professional Manner. Wind Music, Bloomington IN, ©1976. "Reflections of a Longtime Musician." The Instrumentalist 42, no. 2 (September 1987): pp. 20-26.